This family-run, 3-star hotel in the Neuaubing district of Munich offers modern rooms with free internet and daily buffet breakfasts. Munich Central Station is 20 minutes away by S-Bahn train. 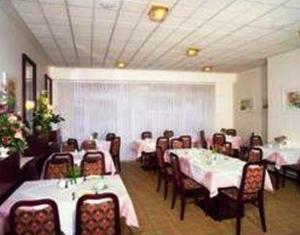 Rooms with colourful décor, cable TV, and a modern bathroom with hairdryer await guests at Hotel Aurora garni. Computers are provided on request. 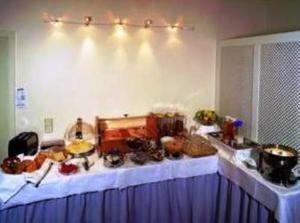 Each morning, a hot and cold buffet is prepared in the Aurora’s classical-style breakfast room. 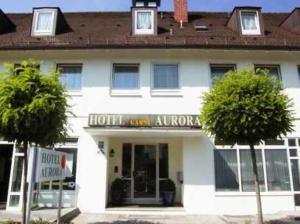 Neuaubing S-Bahn Train Station is a 15-minute walk from the Aurora Hotel garni. Trains run to the Neue Messe Exhibition Centre in 40 minutes. Outdoor and indoor parking is free at the Aurora. The A8 motorway is less than 3 km away.